The Brunswick Crown Triple Tote Roller is perfect for those that need a lighter weight roller. This bag is awesome for traveling or for tournaments. This bag features the transparent top view so you can see your bowling equipment and features a small accessory opening on the front side of the bag. After the bag has been filled, it will be around 47 lbs. 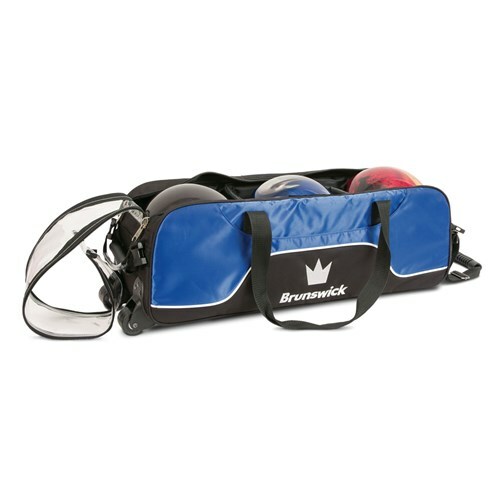 Due to the time it takes to produce the Brunswick Crown Triple Tote Royal ball it will ship in immediately. We cannot ship this ball outside the United States.